Acura Pickering | Blog | Acura Pickering Reviews the MDX Tech! The 2017 Acura MDX Tech features a 3L 16-Valve SOHC i-VTEC V6 engine capable of generating 290 horsepower peaking at 6200 rpm and a torque of 267 lb ft peaking at 4700 rpm. The 3471cc engine is powered by premium unleaded fuel and 9-speed automatic transmission. The 2017 Acura MDX Tech is an all wheel drive crossover with a plethora of safety features including blind spot notification system, child seat tethers in the second and third rows, cross traffic monitoring, LATCH in the second row and trailer stability assist. The 2017 MDX Tech sports 20″ alloy wheels, amplitude reactive dampers, powered side mirrors with auto dimming, front headlamps with auto leveling feature and windshield wipers with rain sensors. It has a passenger volume of 3758 Litres and towing capacity of 2268 Kg. 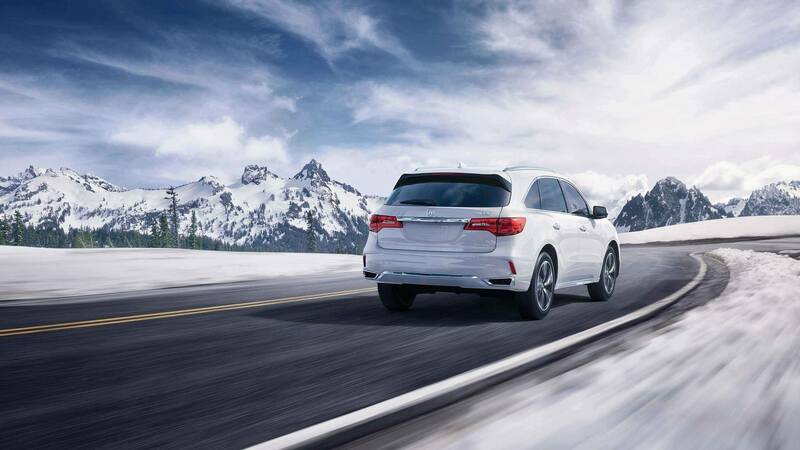 The MDX Tech can deliver 9 L/100Km on highways, 12.6 L/100Km on city roads and 11 L/100Km on combined routes. There are numerous features assuring convenience and comfort including one 115V AC power outlet, Acura Navigation System, rearview camera with multiple angles, puddle lights for perimeter, keyless access, tri zone automatic control with air filtration and humidity control. View our inventory. 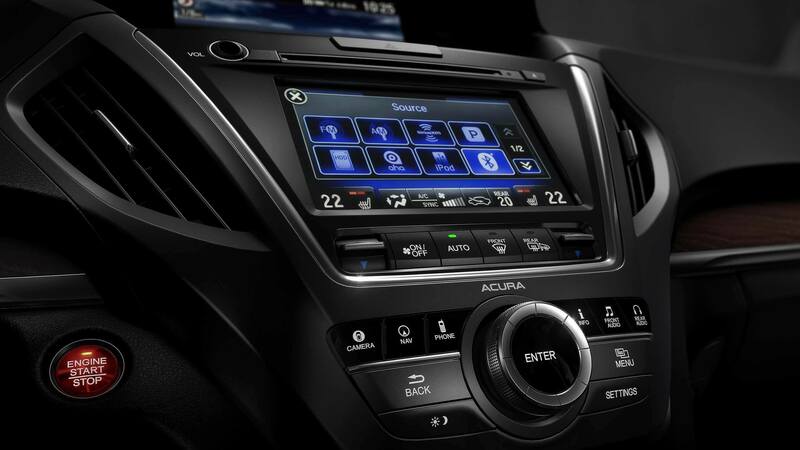 The 2017 Acura MDX Tech has a 529W audio system with ten speakers and a subwoofer with AM/FM tuner, Sirius compatibility, MP3 and Windows compatibility supporting DTS and Dolby. 2017 MDX Tech has the official connectivity system of Acura, a 9″ display, hard drive storage for media and four USB ports, also available for charging. MDX Tech has a seating capacity of seven with the second row having the smart slide feature and one touch walk in, the front passenger’s seat is power adjustable, second-row seats are heated, the interior is trimmed with perforated Milano leather accentuated with piping and contrast stitching. The 2017 Acura MDX Tech is a spacious crossover with substantial luxury features. The spacious interior assures enough legroom, shoulder room, and headspace. The monochrome exterior with accented highlights, the quick pickup, and the various utilitarian features ensure a satiating driving experience. The 2017 MDX Tech is the mid-range variant and combines the best of entry level variants and some of the more state of the art specs available in the higher and obviously more expensive variants. The MDX Tech is a well priced and well configured mid-level crossover. View the 2017 MDX Tech on Acura Canada.